Red 2 boys 1 girl ready 6.may. dad is toy kc reg.mum is small miniature. Will be micro chipped and first .injection.i have mum and her mum .£100 non refundable deposit . Our family pet Bonnie (black toy poodle) has had a stunning rainbow litter of pedigree toy poodle puppies - 5 boy dogs. Comprising of: 2 x Chocolate dogs 2 x White & black dogs 1 x Black dog Both parents are full pedigree and relevant paperwork will be provided. Pups are at our family home with mum. They have played with our grandchildren from day one. They are also used to other dogs. £950. Pups were born 5th Feb so they are ready to go to their new homes, come with microchip & vaccinations. We're only advertising now due to the owner needing an urgent operation and suitable recovery time in hospital. Please call rather than text: [telephone removed] or [telephone removed] Thank you for reading at our advert. We have an adorable litter of Havanoodle puppies. Black boys and girls available. Beautiful glossy coats. Mum is our beautiful K C Reg Havanese and Dad is our K C Reg Toy Poodle. Dad is PRA clear through parentage. Excellent temperaments as do parents. Both parents can be seen. These puppies have non shedding hypoallergenic coats so are ideal if you have any dog allergies. Before they leave us, puppies will be vet checked and receive their 1st vaccination and will be microchipped . 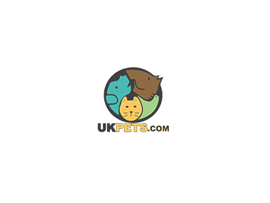 Puppies have been regularly wormed and fed on highest quality puppy food. Healthy, happy babies with beautiful fluffy coats. These babies must only go to kind, loving and permanent homes that are fully prepared to put in the time, energy & commitment into rearing these beautiful puppies. 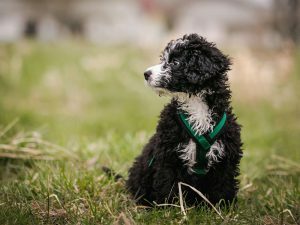 Our puppies are full of fun & puppy mischief and prospective owners must be fully prepared to take on all that comes with a happy, playful puppy. Please do your research on the breeds and think very carefully before getting a puppy - it really is a lifetime commitment! Our babies will come with a puppy pack that includes a collar and lead, toy, food bowl and premium dry food. We are always here for advice. Deposit secures. I am looking for a Toy poodle or Westiepoo girl pup to join myself and my 11 year old femaleToy X companion. She will be taking over the empty place left by our much-loved Min poodle companion. I have always had dogs as pets ( and others, both big and small!) and if not an expert, I consider myself to have an understanding of them and their needs as much as they understand me and mine. Thank you. Just 2 beautiful boys available.Mum is extensively health tested and all have clear results.Mum is a true to type toy and stands at 10inches to the shoulder,she has been a very attentive mum and this shows through in the puppies .Puppies will leave after 10weeks of age when they have been fully inoculated Dad is a red stud dog that is pra clear all paperwork is here for you to view .Puppies will leave microchipped,4wks free insurance,correctly wormed and precautionary deflead , puppy pack.and kc paper work.if you require any further information please feel free to contact me.NO TXT MESSAGES PLEASE..
Timmy.my toy poodle. Ready for stud.he is not mixed. 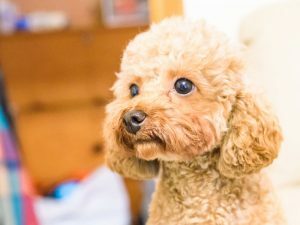 Pure toy poodle. Mum and dad are toy poodles as well. Very playfull. Very kind. He is ready at any time i think. When i take him off the lead itc a first thing he wants to do.